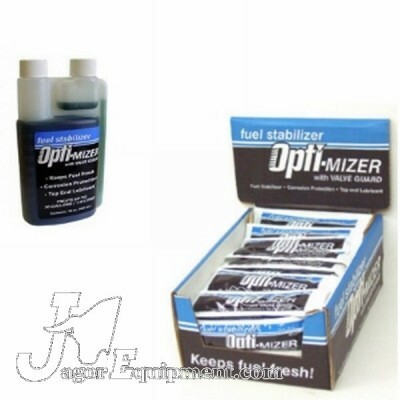 Opti-4 Four Cycle Oil 5/30W is a premium petroleum based high performance lubricant for 4 cycle engines used cold environments (Do not use with ambient temperatures above 60deg). 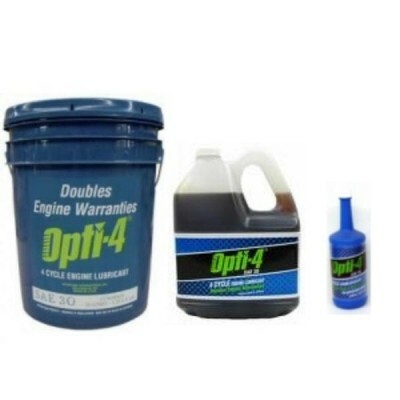 Opti-4 Four Cycle Oil 5/30W is available in 5.3 Gallon, 1 Gallon and 20 Ounce containers. 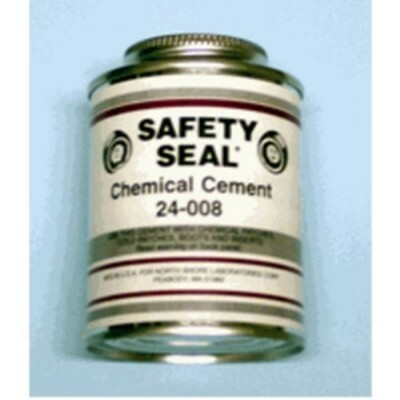 Safety Seal Chemical Rubber Adhesive Cement 24-008 in 8oz Brush Top Can. 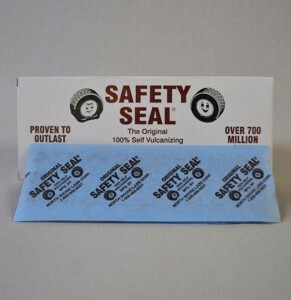 Use to bond repair patches to inner tubes or inside tire after cleaning and buffing surface. 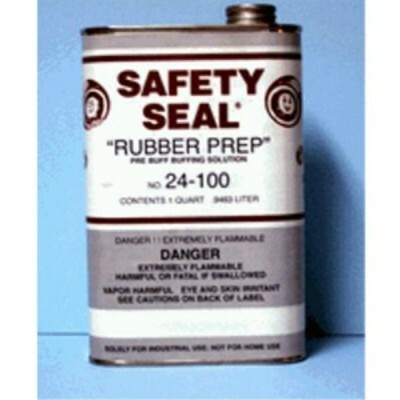 Safety Seal Rubber Prep Pre Buff Solution 24-100 used to clean rubber surfaces prior to tire repairs. 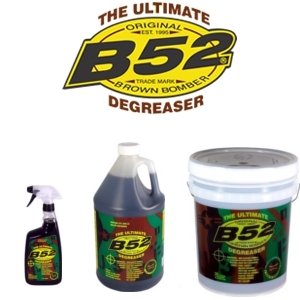 Allows for better adhesion of patches, cements or sealer coatings. 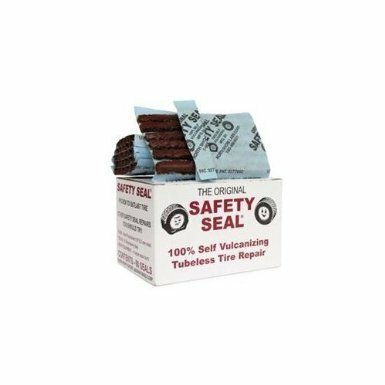 Safety Seal Tire Plug Insertion Needle T Handle assembly for inserting rope type tire plugs in auto or light truck tires. 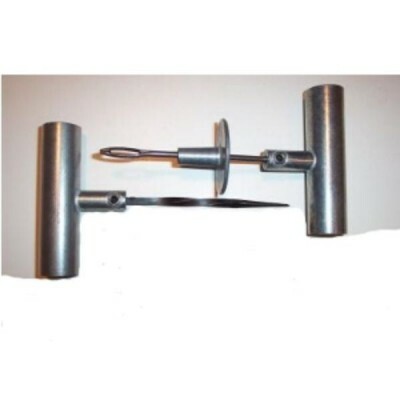 This tools T Handle allows for good pressure and direction control when placing tire plugs. 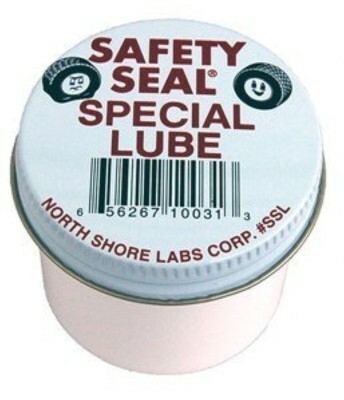 Includes stop collar to avoid placing plug too deeply in tire. 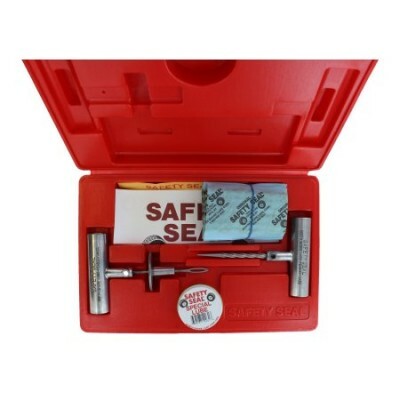 Replacement needle tip SAF102 also available separately. 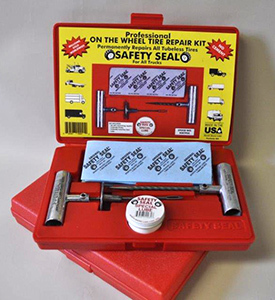 Safety Seal Tire Plug Reamer Probe T Handle assembly for probing and cleaning tire injury prior to inserting rope type tire plugs in auto or light truck tires. 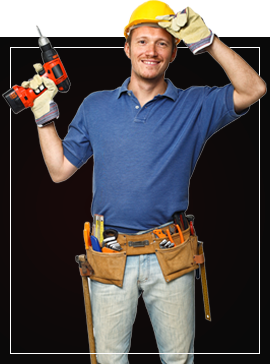 This tools T Handle allows for good pressure and direction control during probe and clean operation. Replacement probe tip # SAF140-SPT also available separately. 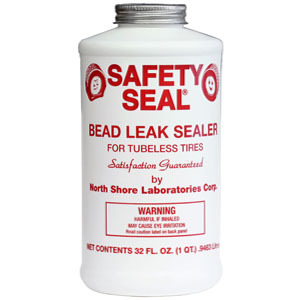 Safety Seal Brand Tire Plug Special Lube Special Lube (2oz) to facilitate insertion of Safety Seal tire plug repairs. Each kit contains 30 - 8 inch (20cm) repairs Metal T-Handle Insertion Tool Metal T-Handle Insertion Needle Metal T-Handle Spiral Probe and Lube. Packed in a durable, molded plastic case.